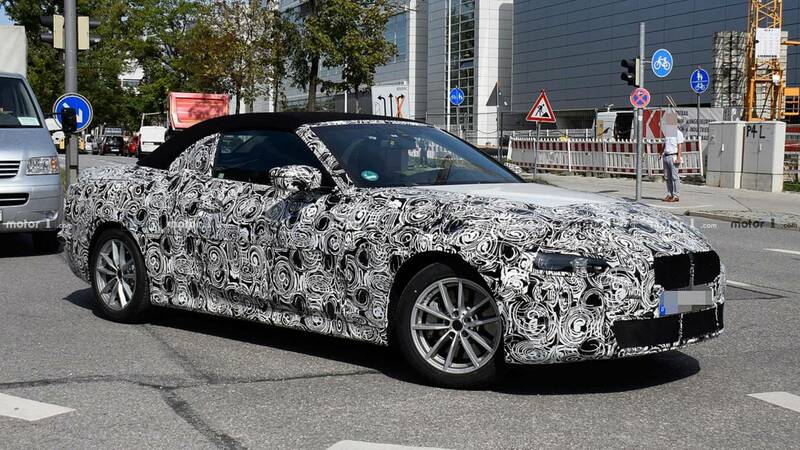 These spy shots provided our first look at the BMW 4 Series Convertible on the road. The engineers kept it under heavy camouflage, though. We expect the model to look like a sportier variant of the new 3 Series. Also, the new droptop switches from a metal roof to a fabric one to save weight.